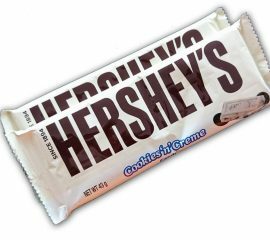 Here is our range of American sweets. 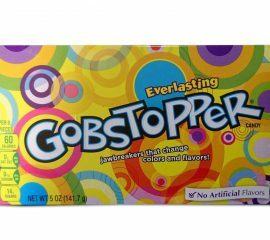 The everlasting gobstoppers were always our favourite part of Charlie & The Chocolate Factory and now they are here for you to try! 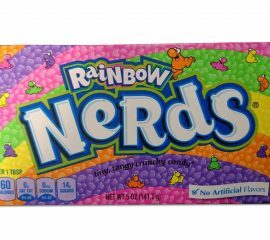 Each box contains just over 140g of these little jawbreaker sweets - they probably won't be everlasting BUT should keep you going a bit! 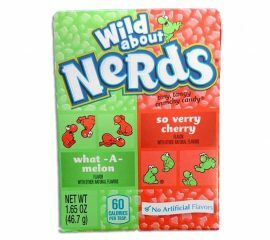 A bigger box then your standard box of Nerds (just over 3 x the standard size) containing loads of these tiny, tangy, crunchy candies from the USA! 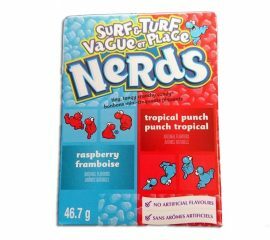 A brilliant flavour combination from Nerds - cherry and watermelon little tangy candy pieces! Little sugar coated candy pieces with a whole heap of flavour! These ones are raspberry and tropical punch! 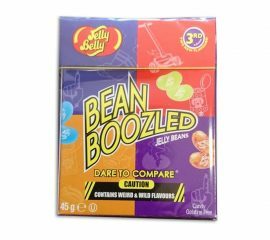 There's lots more flavours to try too! When just one is not enough...well have three!!! 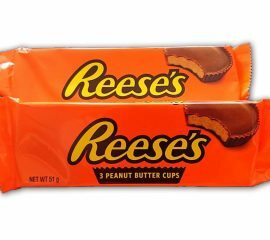 That's right 3 delicious peanut butter cups from the wonderful people at Reese's - if you've never tried them this is a good place to start..
Slightly different to the chocolate cups in that Reese's Pieces don't contain chocolate unlike the cups - these instead are tasty peanut butter pieces coated in a sugary candy shell! They come in three colours yellow, orange and brown and all taste yummy! 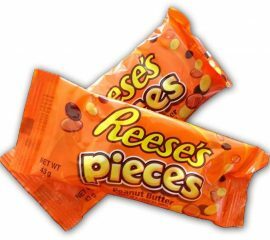 Another delicious treat from the Reese's family and great with your morning coffee (or at least that's how we enjoy ours). 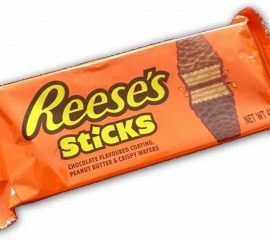 Each pack contains 2 sticks consisting of crispy wafer with peanut butter and then finished off with a chocolate flavoured coating. You can try to keep one stick for later if you want...but we bet you can't!